KING OF STING available for PRE-ORDER! 11.7.18 – KING OF STING available for PRE-ORDER! 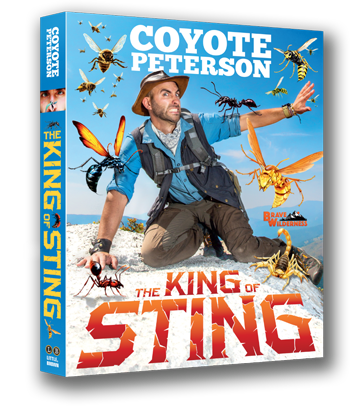 Join Coyote Peterson on the journey of a lifetime as he tracks down some of the most painful stinging creatures on the planet… and it puts science to the test by actually letting them sting him! Every thrilling Coyote Peterson adventure—from the bullet ant to the tarantula hawk to the giant desert hairy scorpion—has led to the search for the King of Sting, the legendary Execution wasp. Does the executioner wasp really have the most painful stain on the planet?